Read The Top Business Books—Fast—With ReadSmartly | Brand On! ⬅ Having An Event? Text Your Attendees! Like many people, I have great intentions to read the best business books. However, my intentions meet with reality, and sadly I find myself staring at a stack of unread books, along with a digital trail of other titles in my Amazon Wish List that I can’t seem to find time for. So I was excited recently to get an email from Steven Hoffman, cofounder of ReadSmartly. 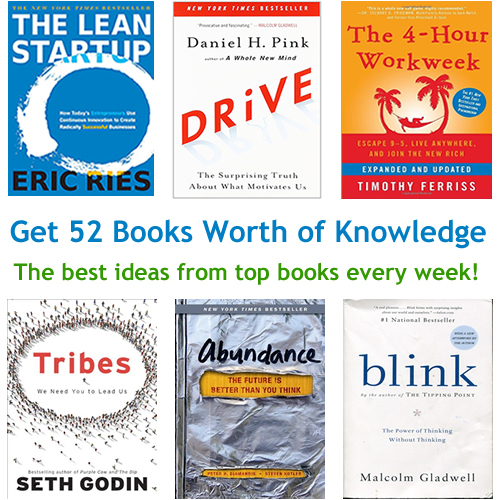 This is a new service that distills the key ideas from 52 of the best-selling business books and sends the information to you weekly. You get a quick, two-page PDF for each book or you can read the summaries online. 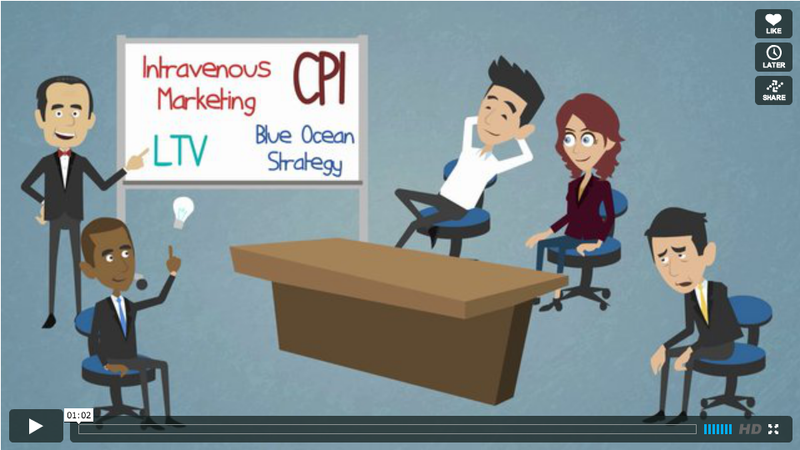 Watch this video to see more about how it works. I admit I was a little skeptical, but Steven agreed to send me a few examples. I was impressed. As an example, I’m currently reading The Lean Startup by Eric Ries, which admittedly is a great book. But it’s taken me about a week to get half way through it, and my head is swimming from all the information. Meanwhile, I got a PDF from ReadSmartly on a similar book, Running Lean by Ash Maurya. In two minutes, I was able to glean roughly the same “big idea” takeaways that I got from Ries’ book, along with a few actionable to-do items. Bam! That is an efficient—and dare I say, a much leaner way—to learn. 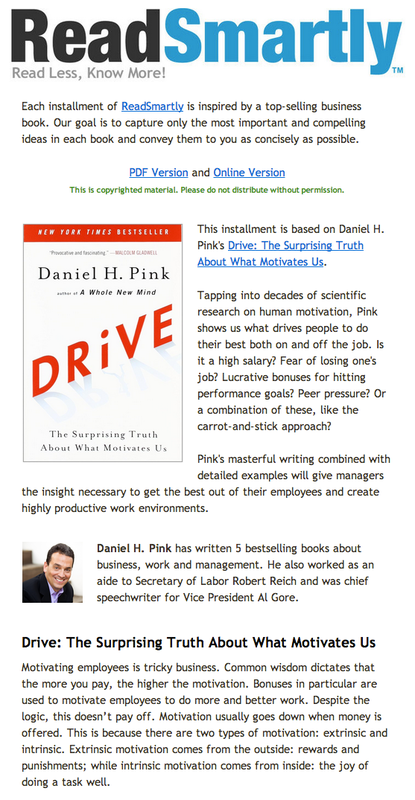 ReadSmartly has started with the first “series” of 52 top-selling business books. Steven says they are working on the second series now, which will will have another 52 books. They plan on adding more series as time goes on. Cost: ReadSmartly agreed to offer a special discount code for my readers that will knock 40% off the regular price of $99.99. Use the promo code UTTLEY and they will send you the 52-book series for $59.99. Think about it this way: At an average of $10 for a Kindle book, you’d paid $520 for these 52 books…plus it would take an eternity to read them all.